At the forefront of modern dentistry, Lisa fully automatic is a technological masterpiece, integrating on-board computer, traceability system and made-to-measure type B sterilization cycles. 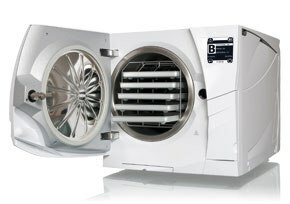 In addition to the proven Class B cycles and the gentle ECO B function, which protects the instruments, the Lisa autoclave now also comes with the rapid cycle. The Lisa sterilizer has an integrated and automatic traceability system with user identification and load release option. The double micro-processor technology manages the integrated traceability software which guarantees the speed and efficiency of the sterilization cycles.